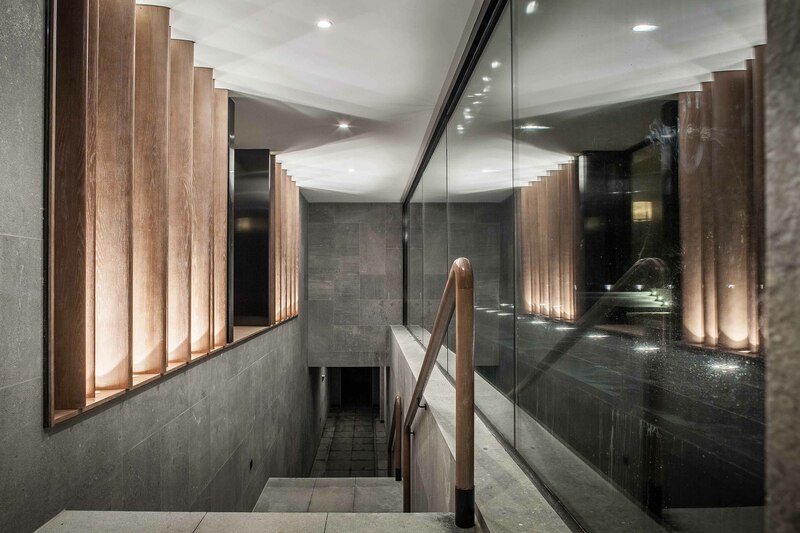 Tao Hua Yuan by CL3 Architects Ltd. Located in a hot spring resort area outside of Nanjing. Tao Hua Yuan is a contemporary structure in Chinese Vernacular on top of a hill and carved into a young forest growth. 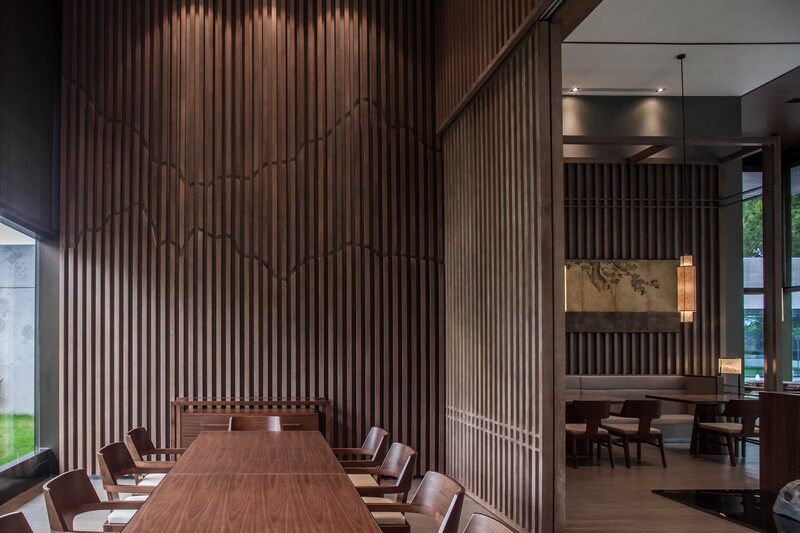 Used as a tea house to promote Chinese culture of tea drinking and calligraphy, the design utilized a quite zen esthetic to bring tranquility to the space. The program is divided into a tea lounge, a calligraphy room, and a restaurant. 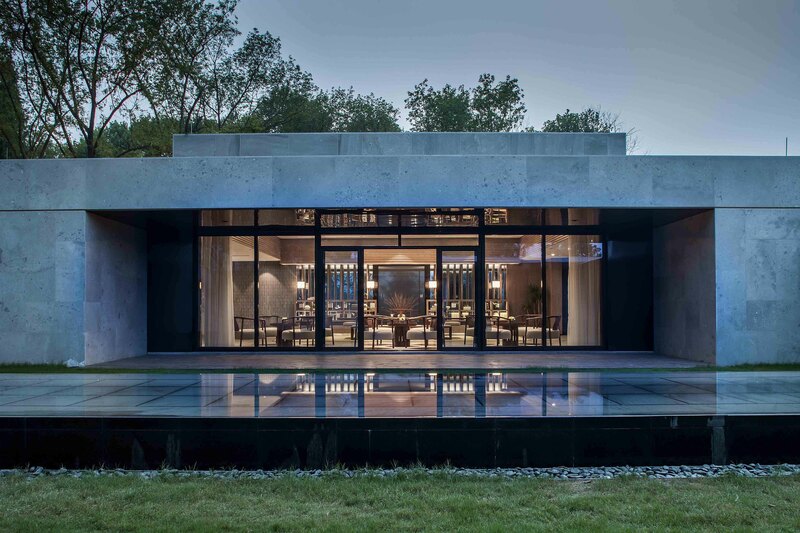 The architecture is inspired by the Chinese Courtyard House, with a series of enclosed spaces formed around open spaces and connected by covered walkways. 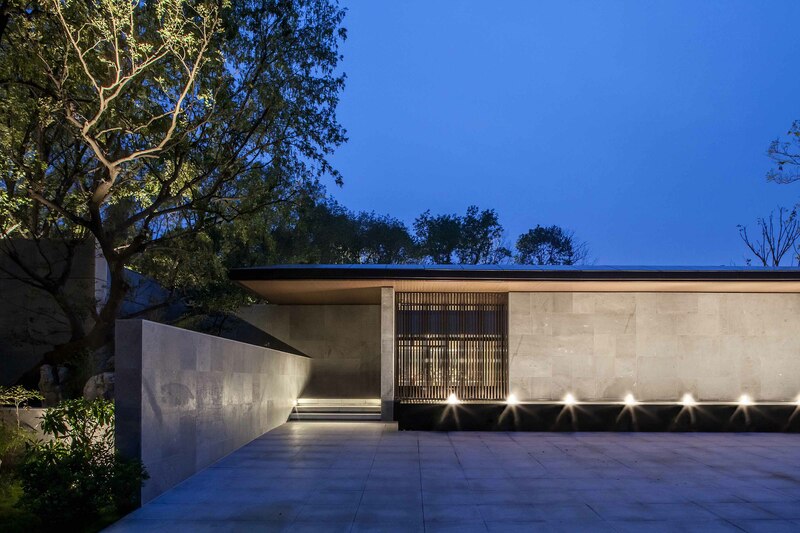 The Interior becomes an extension of the architecture and incorporates traditional elements like scholar rocks, lanterns, paintings and works of art, to create a tranquil environment that is one with nature. 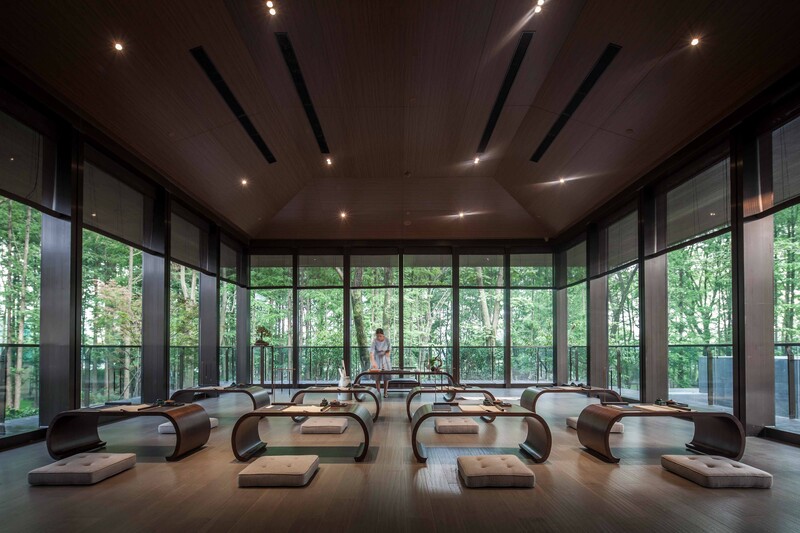 Large glass panels encloses the calligraphy room, allowing ample natural light to come in while framing the spectacular view of the young forest. The restaurant enjoys a similar tall space with green views. 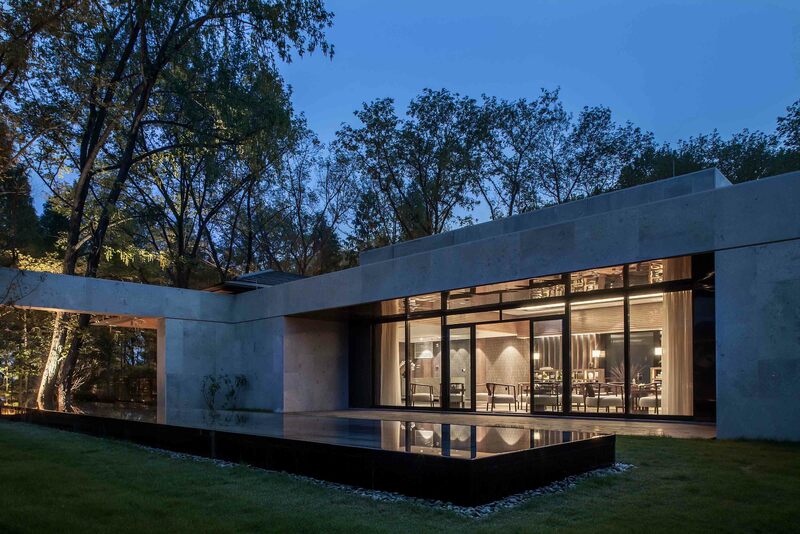 Sliding screens and a low wall with scholar rocks display divides the space and gives privacy to the guests. Black mirror on the floor creates the illusion of water on which the rocks float. The overall palette remains simple. Use of wood, bamboo and concrete to create zen tranquility. The verticality of the young forest is reinforced by the vertical lines in the interior design. Custom designed furniture and lighting gives a contemporary interpretation to the Chinese cultural heritage.